The 1980s were something of a dry period for Walt Disney Studios. While films the The Black Cauldron, The Great Mouse Detective, and Oliver and Company certainly have their fans, none of them really lit up the box office the way the studio had done in previous decades, and none had the enduring power of classics like Cinderella, Sleeping Beauty, 101 Dalmatians, etc. 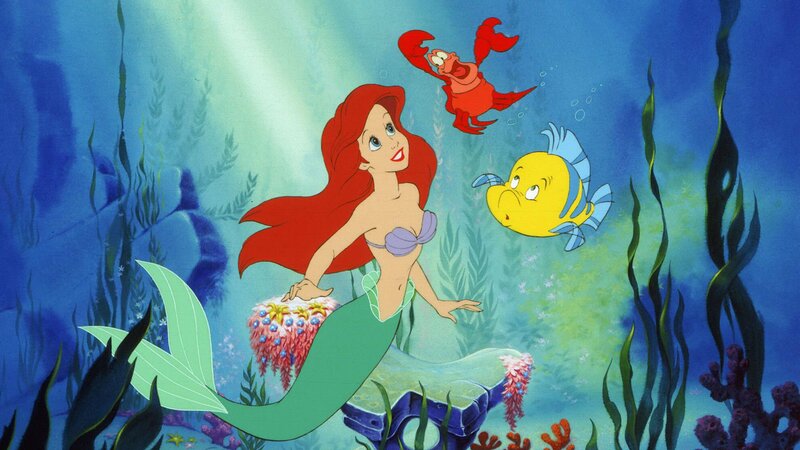 The arrival of The Little Mermaid in 1989 changed all that, and established a musical formula that the studio has been more or less following ever since. Featuring indelible songs by Alan Menken and Howard Ashman (who would again collaborate on later studio classics like Beauty and the Beast and Aladdin before Ashman's untimely death in 1991), The Little Mermaid liberally adapted Hans Christian Anderson's fairy tale for a new generation, redefining the story and entering into the cultural lexicon in a way the studio hadn't seen for decades. 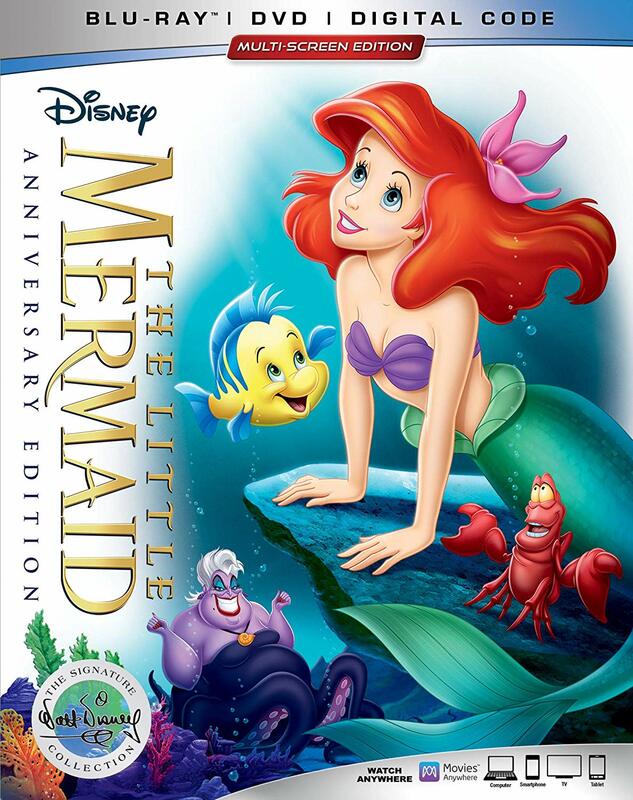 The story of a plucky young mermaid who dreams of breaking free of her oppressive environment and living on the surface as a human captured the hearts of millions, while songs like "Part of Your World," "Kiss the Girl," "Under the Sea," and "Poor Unfortunate Souls" have become instantly recognizable hits. The film was responsible for what became known as the Disney Renaissance, which continued on throughout the 1990s, before the studio switched gears again in the 2000s, before returning to (and often subverting) its roots in The Princess and the Frog, Tangled, Frozen, and Moana. It has become the target of some criticism in recent years for its depiction of a woman who changes herself in order to attract and please a man, but upon revisiting the film I found that criticism to ultimately miss the point of what Ariel is trying to do. She wanted to be human all along, even before meeting Prince Eric (that's what the entire "Part of Your World" song is about), meeting the human prince just gives her an excuse to pursue and fulfill that dream. Although watching it as an adult you also realize that Ariel's father, King Triton, was completely right in forbidding her from marrying a man she just met three days ago at age 16 - a trope that Frozen would go on to lampoon in its song, "Love is an Open Door." Disney would go on to make better films. The Little Mermaid lacks the narrative sophistication Beauty and the Beast, the Shakespearean grandeur of The Lion King, and the sheer dark beauty of The Hunchback of Notre Dame, but in its historical context, revitalizing the Disney brand at a time when it had severely stalled during the 1970s and 80s, The Little Mermaid is nothing short of astonishing. It brought Broadway quality music and smartly written lyrics that changed the way animated movies were made. It now occupies a very special place in the pantheon as the film that gave birth to a new Disney era. The new Blu-Ray release in Disney's Signature Collection series offers a few new additions from the last Diamond Edition release, chief among them "Alan Menken and the Leading Ladies," a trip down memory lane with Menken and some iconic Disney stars; Jodi Benson (Ariel from The Little Mermaid), Paige O'Hara (Belle from Beauty and the Beast), Judy Kuhn (Pocahontas Singing Voice from Pocahontas), Lillias White (Calliope from Hercules) and Donna Murphy (Mother Gothel from Tangled), each getting to sing their signature tune with Menken on piano. It's a delight for Disney fans, who will also be pleased to see that the beautiful Blu-Ray transfer doesn't undo the craft of the original artists by painting over the original colors as some of their previous Blu-Ray releases have (looking at you, Cinderella). It's a film that belongs on every Disney lover's shelf, and this latest version from the fabled Disney vault is its best home video incarnation yet. THE LITTLE MERMAID | Directed by Ron Clements, John Musker | Stars Jodi Benson, Samuel E. Wright, Pat Carroll, Christopher Daniel Barnes, Kenneth Mars, Budd Hackett, Jason Marin, Rene Auberjonois | Rated G | Now available on Blu-Ray and DVD from Walt Disney Studios.